Printable worksheets for teachers and homeschool parents. 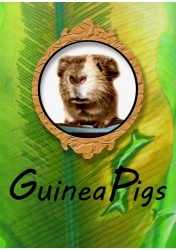 Learn about guinea pigs, sea creatures levels 2 & 3, read and write levels 2 & 3, spelling, bridging the learning gap, improve skills, advance knowledge, accelerate learning, homeschooling, and maths with these English and Maths e-Book worksheets. Select the image to read more. To purchase: Login first (or create a new account) and add product to cart. All products are e-books and delivered as a downloadable PDF which can be accessed and downloaded from your account after payment is confirmed. We accept PayPal and Credit Card using PayPal as our payment processor. Expand student knowledge while building upon ideas, skills, techniques and processes within multiple learning areas. They will discover rainbow colors, shapes, why recycling is necessary and how to use recycled materials within art projects. They will learn about nouns, verbs and homophones, mathematical concepts in numbers and problem solving. Build upon listening, speaking, reading, writing with these cross curricula worksheets. Discover facts and figures, collect data and formulate ideas to come to an understanding of the topic they are learning about. Cover health education with movement and physical activities, diet and eating habits, and health of individuals and populations. Within the maths area the student will improve their skills in chance and data, statistics, mathematical thought processing and problem solving. The history of rabbits in Australia and their environmental impact, investigating penguins, learn about eggs, unusual animals, Venus fly trap and the Rafflesia are a great way to advance a students' knowledge within the biological science area. Geography covers the economy, history, information, materials, and systems. 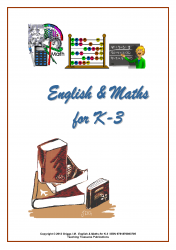 Contains additional teaching notes, answer keys, and extra suggested curricula activities complementing these English and Maths worksheets. Advance your student's knowledge with this excellent resource. Crank over those brain cells and build upon many learning areas. Improve the study of synonyms and antonyms, capital letters, singular and plural within the English component of this workbook. Use these cross curricula worksheets to build upon more advanced mathematical skills in fractions, numbers, measurements, and problem solving. Provides science and environmental components such as learning about the leafy sea dragon, the aardvark and mice as well as have the student work their way around the globe to gather information and collect data about the world, Europe, societies, deserts and the pyramids of ancient Egypt. The workbook also covers technology and enterprise and touches upon subjects such as robots, machines, bicycles and energy. Engage your student in the arts with perspective, proportion, drama and drawing with charcoal and build upon world health issues as well as personal hygiene and how to look after their eyesight. Last but not least, if you’re teaching a second language then some of these LOTE worksheets in the German language may be useful. Teach your student to count in German and cover basic words as well mapping and social issues. Contains additional teaching help notes, answer keys, extra suggested curricula activities complementing these worksheets for classroom and homeschool. Any child who loves and cares for guinea pigs should have a copy of this wonderful and highly acclaimed resource. Perfect for teaching concepts such as how to house guinea pigs, cage design, how to beat guinea pig boredom, how to hold, tame, care for, and feed guinea pigs. It carefully explains what not to feed guinea pigs, wild plants both good and bad for guinea pigs, how to tell the difference between males and females with photographic identification, breeding and different breeds, Common diseases and disorders, digestive system diseases, skin diseases, reproductive disease, Nervous system disease, musculoskeletal disease, general knowledge and much more. Includes worksheets. Written by author Monique Griggs who was an avid guinea pig lover, carer and breeder for many years. 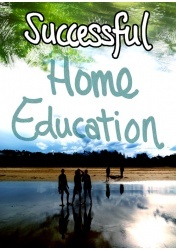 This particular version of Successful Home Education is written from a Godly perspective and includes all the basics for starting to implement your homeschool ideas when you first set out. Highly recommended for parents who wish to teach their children at home using Godly values and Christian principles. This eBook will guide you through the issues of teaching your children at home. The do's and dont's of homeschooling or unschooling! Written from a Godly perspective by Ingrid Griggs, homeschool parent of 25+ years. Young students will expand their knowledge using these worksheets while building upon ideas, skills, techniques and processes within the learning areas of English, Maths, Art, Science, Technology, Health Education, Languages other than English (LOTE) such as French and Japanese, and Society and Environment (SOSE). Covers colour mixing, basic colours and how to make a colour disc within the art area as well as symmetrical drawing of a skeleton and labeling body parts covering contextual understanding during this process. Improve student alphabetical ordering skills, story reading and comprehension while learning about worms or rhyming words. Build vocabulary skills and improve spelling while learning about health of individuals & populations and personal hygiene issues such as washing hands. The mathematical components cover calculators, clock reading, time, measurement, numbers, reasoning & strategies, space, shape, simple fractions and percentages, and problem solving. Leaf insects, frogs, bees, the sun, importance of trees and minibeast are just some of the topics covered within the biological science area. Enhance student knowledge about the African, Australian and South American continents as well as discover some communication methods used in the Technology information, materials and systems area. Comes complete with extra teaching help notes, answer keys, extra suggested curricula activities complementing the worksheets. It's Massive! This one is not to be missed & Comes Highly Recommended! With loads of English and Math’s worksheets you can’t go wrong. Take your students on a challenge with some new material or re-enforce already learned skills with some inspiring new worksheets. Other children have already benefited from this wonderful resource and have been given a head-start for the year. Many teachers and parents are utilizing this resource to complement their existing curriculum for their children; so why not you? Includes: Crosswords, unscramble words, animals, numbers, patterns, colors, letter and word recognition, stories, comprehension skills, reading, writing, spelling, thinking skills, alphabet, shapes, addition, subtraction, symbols, mapping, weeks, months, times tables, addition chart, graphs and more. What age group is it for? Like I said, the workbook can be for any age if their first language is not English. It is the basics of the basics for adult learners while it may be challenging for younger learners. Each How To worksheet is covered with a description of what the student should do. General extra suggested ideas and activities are also found on some of these pages although not necessary to complete. These are optional as an extra activity and could enhance student learning. An image is shown on each How To page which corresponds to the student worksheet to complete. No allotted time has been set to complete each worksheet as students all learn at a different rate and setting time limits can cause unnecessary stress for some learners. However, if you are bound to a time schedule then of course you would need to set your own time limit according to what you believe is an adequate amount of time for the student to complete the worksheet. Learners can complete these worksheets on their own or you may form pairs to help slower learners take advantage of a fellow student’s ability to help him or her with the tasks set before them. Although some worksheets may seem simple, it is your responsibility to build upon each worksheet by explaining what students are going to learn and how this will benefit them in every day life. Pronunciation is important and it is expected that you will pronounce the words correctly in English so that learners will have the full benefit from these exercises. Our Big Book of Maths Level 1 is a really neat resource that will come in handy and will never be out-of-date! If you're looking for something extra to fill in those gaps then this is an ideal resource to build upon and improve already learned skills in mathematics. Each individual worksheet is tailored to encourage further knowledge on the outcome covered. Improve: Addition, fractions, percentages, column graphs, multiplications, subtractions, money, measurements, length, weight, use of calculators, true or false multiple choice questions, roman numerals, shapes such as circle, hexagon, parallelogram, diamond, rectangle, pentagon, trapezoid, square, and octagon. An ideal resource for young students as well as ESL students. Enhance reading and writing skills, further their knowledge with number patterns and geometrical shapes. Rhyming words form part of this resource while spelling skills are build upon with special spelling words. Enhance any lesson plan with one of these printables and watch your learners soar through the roof with enthusiasm. Beautiful illustrations complement each printable and will further encourage fine art skills by simply providing pencils to do the art work. An absolute must have if you're serious about teaching and improving your student's reading, writing and comprehension skills. 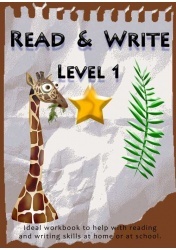 Upon completion of Read & Write Level 1 you can go onto levels 2 & 3 which are also available from this shopping cart. 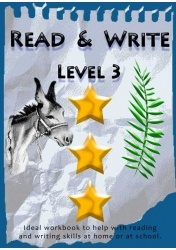 Read & Write Level 2 is a great follow up resource from level 1. Continue to build upon those English skills and improve reading, writing, comprehension, and spelling. While you help your students improve reading, writing and spelling skills with these worksheets you are encouraging comprehension skills through the forming of sentences that make sense in every day life. 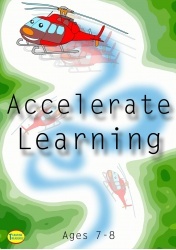 Perfect addition to Read & Write Level 1 and a lead-up to level 3. Also suitable for ESL students. 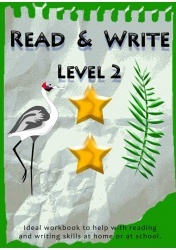 Those who purchased Read & Write Levels 1 & 2 continued on with level 3. 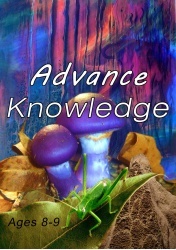 Advance your students even further with this great product! Improve reading, writing, spelling and comprehension skills. Perfect addition to Read & Write Levels 1 and 2. Also suitable for ESL students. This is your perfect resource and a must have for anyone teaching kids! 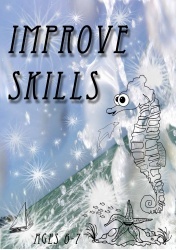 Combine English & Maths skills with this highly recommended resource which has the sea creatures theme running throughout. Here you have proven and tested materials at your fingertips that will enhance your teaching skills and provide you with something you will not be able to buy anywhere else. Kids love these worksheets and have shown improved overal learning skills. Includes: English reading, letter sounds, letter blends, and reviews of previous learned words. Interrelated stories achieve further reading. Teach young students words with the long and short a, e, i, o, u sound and learn about vowels. Recognize numbers and shapes, improve addition and subtraction. 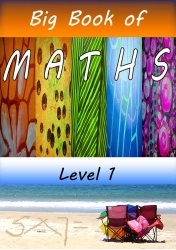 English and Maths Sea Creatures Levels 1, 3 & 4 are also available from this shopping cart. 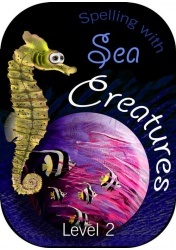 Improve English & Maths skills with a sea creatures theme running throughout this highly recommended resource. Covers reading, writing, poetry, rhyming, the eight parts of speech of the English language. Develop research skills, number recognition, addition, subtraction, multiplication, division, shapes, fine motor skills, and explore interaction with the environment. 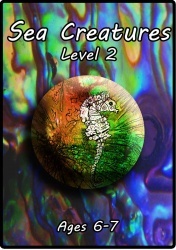 English and Maths Sea Creatures Levels 1 & 2 are also available from this shopping cart. If you're serious about wanting to improve children's English reading, writing, spelling and comprehension then this is for you! 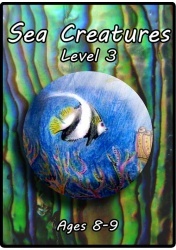 A specially designed resource that illustrates beautiful sea creatures to encourage young students to advance and step outside their existing skills. Help your children go beyond their boundaries of learning. Word range from 2 letter words to 6 letter words, includes rhyme and is a great resource for collaborative learning. A wonderful resource to have on-hand for those rainy days when you need a special touch to the day. Brighten up any lesson, watch children's faces glow with pride, simple and easy to use printables, clean clear and unique illustrations. Spelling with Sea Creatures Level 2 is also available from this shopping cart. It doesn't matter if students haven't completed level 1 as this resource is used by many as a stand-alone learning material. Continue with English reading, writing, spelling and comprehension skills. 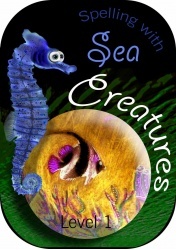 Students will sky rocket with this specially designed resource illustrating beautiful sea creatures. Special spelling words and rhyming all form part of this resource which will engage students in fun learning. Serious educators buy serious resources and this is one of them. Simply follow page after page for best results and be impressed with how much your student learns in such a short time. Improve reading, writing and spelling with a carefully selected array of words. 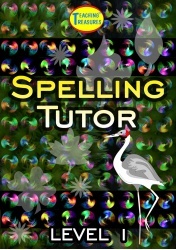 Pronunciation, word recognition, forming of sentences using everyday situations, and reinforce spelling all form part of this spelling tutor. Bonus mathematical equations are mingled within this workbook.